The supermarket chain known as Safeway began in 1915, when M.B. Skaggs bought a small grocery store from his father in his hometown. Eleven years later, he had over 400 “Skaggs” stores in 10 states. Also in 1926 he merged his business with another company, giving birth to Safeway, Inc.
Today Safeway has more than a thousand stores in the United States alone, as well as a presence in Australia, Canada, and the UK, to name but a few. They have expanded from being merely a grocery to having pharmacies and gas stations too. They have their own line of signature brands that range from dairy products, to ready-to-eat meals, even to pet care and cleaning products. They even offer grocery delivery! Safeway states on its website that their store philosophy has always been “offering customers the products they wanted to buy at a fair price, with lots of tender, loving care”. With this in mind, it only makes sense that they would eventually offer catering to their customers too. Since Safeway is present all across the U.S., finding a branch to order from will be no trouble at all. There’s a handy store locator on their main website to make it easy to find the closest Safeway to you. In keeping with their store philosophy, Safeway catering comes at surprisingly affordable prices for the types of food at hand. They have fresh fruit platters, sushi platters, sandwiches, cakes, and a huge selection of deli and cheese sampler packages. Whether your party consists of vegetarians, clean eaters, meat lovers, or a combination of the above, putting together a party spread with Safeway’s menu will be a cinch. Something that makes Safeway unique among other catering services is the option to order party decorations with your food. They offer party balloons and greeting cards, but the most striking and appealing choice are their flower arrangements. Obviously sourced from their own florists, one can select from an assortment of orchids, roses, or mixed bouquets that are guaranteed to brighten up any occasion. Lastly, as a bonus, for every $20 spent on catering services you get 1 free AIR MILES reward mile! 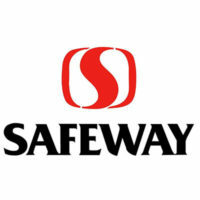 Go to Safeway’s website and look for their page on catering under Services. The page will provide with a number that will put you in touch with one of their Catering Experts. Unfortunately, ordering online is not yet available. Be sure to order at least 24 hours ahead to give Safeway enough time to prepare all your food, especially if it’s a larger than normal order. In fact, maybe ordering 2 days ahead would be wise. They don’t have a catering menu posted on their official website, but taking a look at their deli menu will give you an idea of what can be ordered. Alternatively, searching “Safeway catering menu” on Google will bring up a complete listing of the items and their prices. For medium to large groups, Safeway catering would be a great choice as their pricing runs rather cheap compared to stores with similar offerings. Their food selections are particularly great for outdoor parties in the summer because of their light and fresh nature. You can choose to either have your food delivered to your location, or pick it up from the Safeway nearest you.